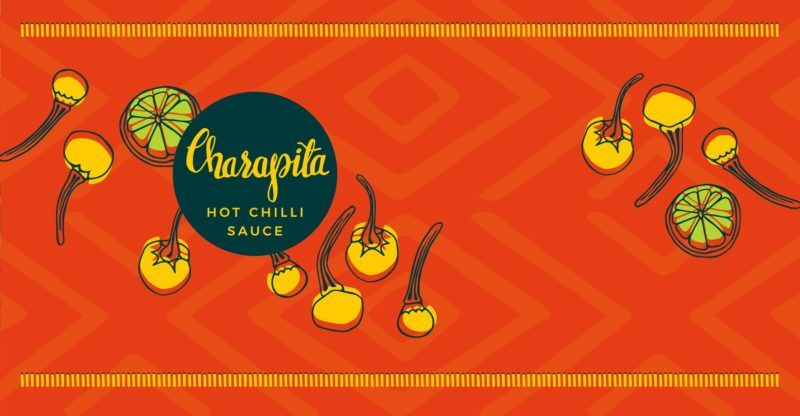 In 2018, we launched Charapita — a new ethically and sustainably-sourced hot chilli sauce brand. Made using the indigenous charapita chillies of the Amazon Rainforest, and preserved with native limes, our ingredients are grown by the farmers we are working with. Charapita chilli is the perfect short-term high-value crop that grows as part of our agroforestry system. These short-term crops are grown below the canopy, or in the rows between fruit and timber trees before the canopy closes over. While waiting for the young fruit and timber saplings they’ve planted to mature, agroforestry systems can provide farmers with a regular income. It’s flavour is spicy and aromatic. And with a Scoville heat range of between 30,000 and 50,000, it’s punching high in terms of spiciness. These chillies also bring many health benefits. Their capsaicinoids (the active component that gives these chillies their heat) can help improve digestion and circulation when consumed as part of a balanced diet. Charapita Hot Chilli sauce can add a new dimension to your cooking. From British classics, to cocktails, to South American inspired dishes — you can use it as a condiment to any dish, or in the kitchen as a delicious alternative to fresh or dry chilli peppers.